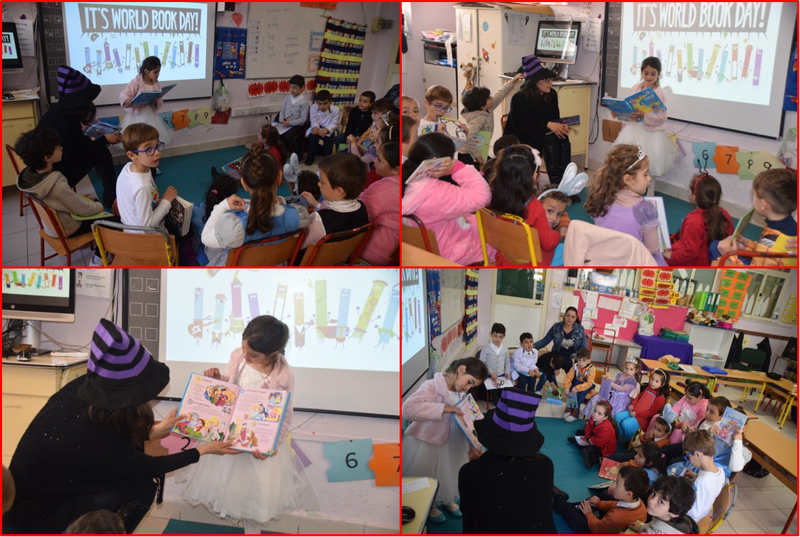 Children dressed up as their favourite book character and got their favourite book to school. 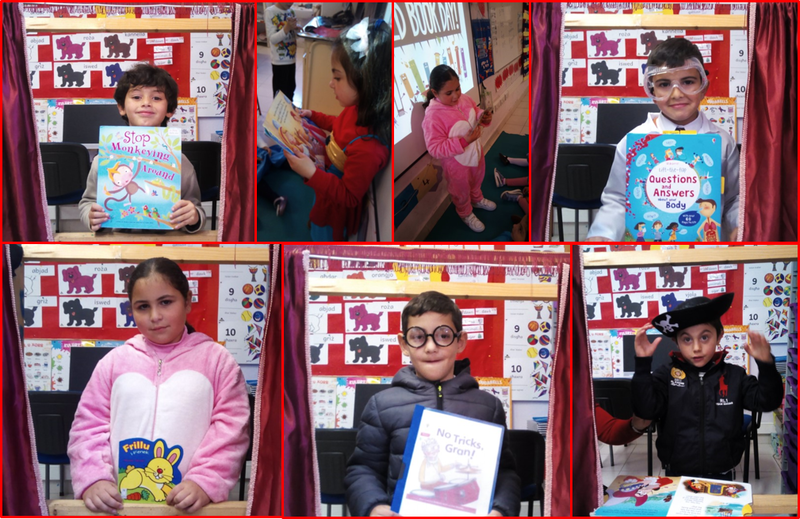 They read a part of the story or recited the story in short as a part of the weekly Show and Tell. Finally they drew their favourite character and wrote a sentence about their favourite book. 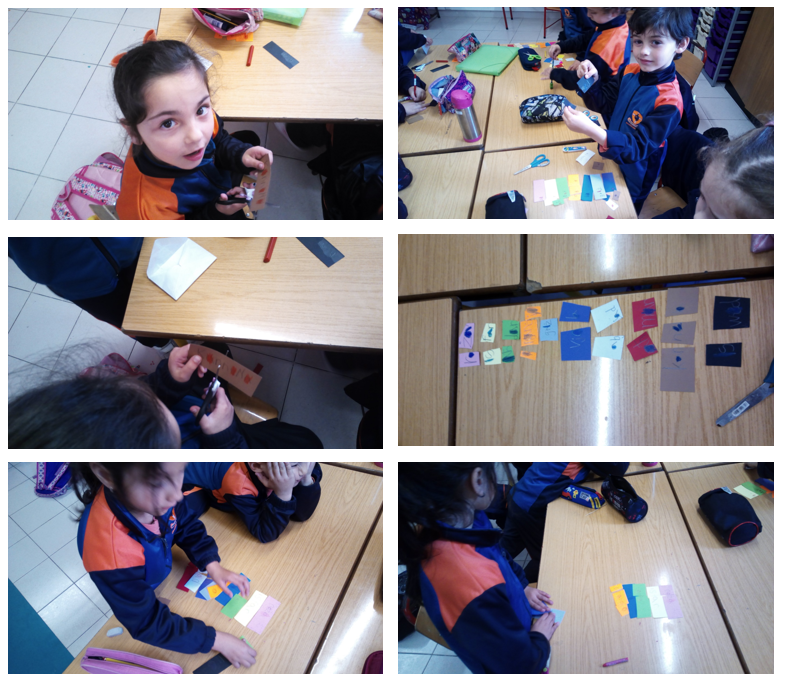 This entry was posted in Year 1 and tagged literacy day on 14 April, 2019 by mgarrprimary. Students dressed up of a particular book character. 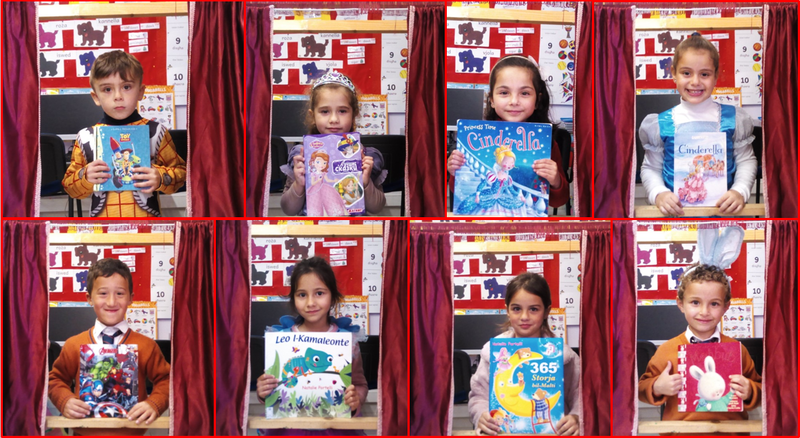 Through “Show and Tell” they presented their books to the classmates. 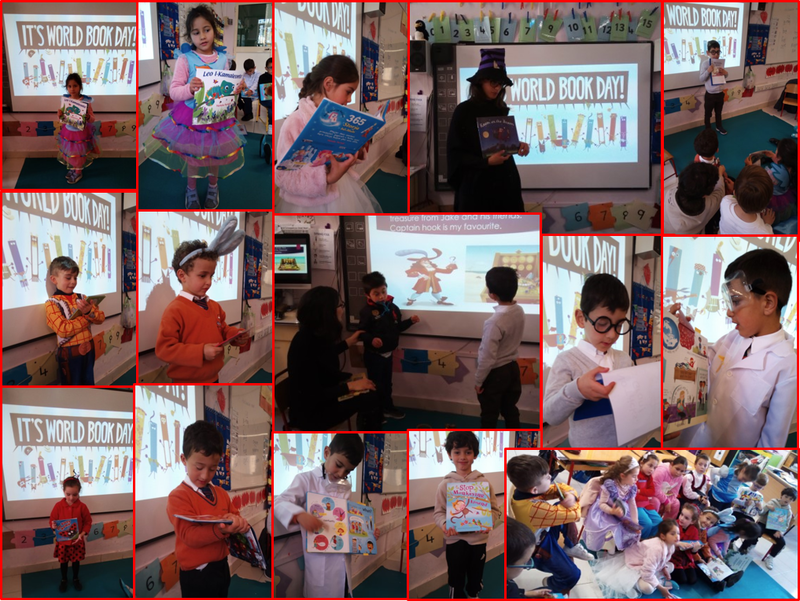 This entry was posted in Year 1 and tagged literacy day on 11 April, 2019 by mgarrprimary. Children dressed up as their favourite book character. 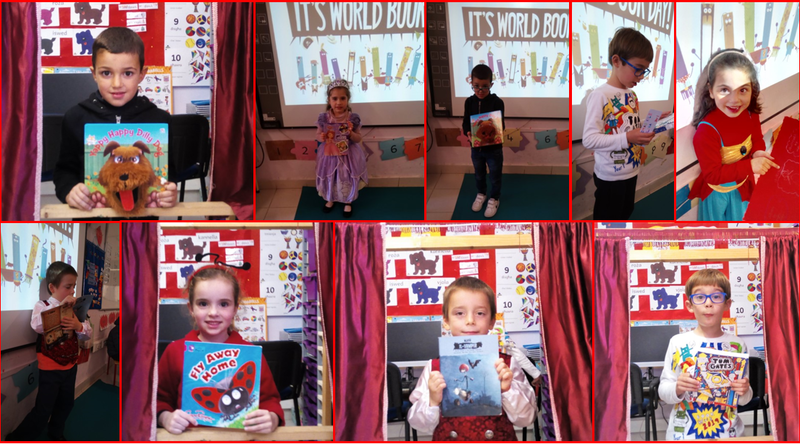 They got their favourite book and read a part of the story or recited the story in short as a part of the weekly Show and Tell. After they drew their favourite character and wrote a sentence about their favourite book. 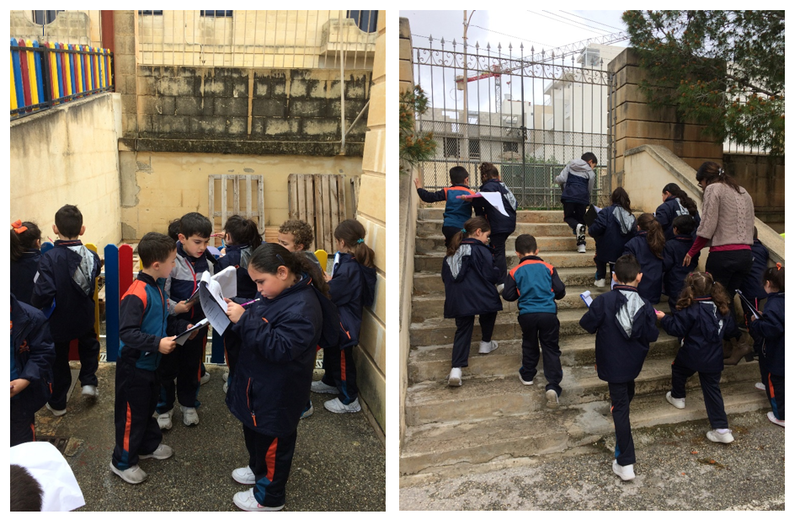 Year 1 students enjoyed a fieldwork session in one of the gems of our beautiful locality. 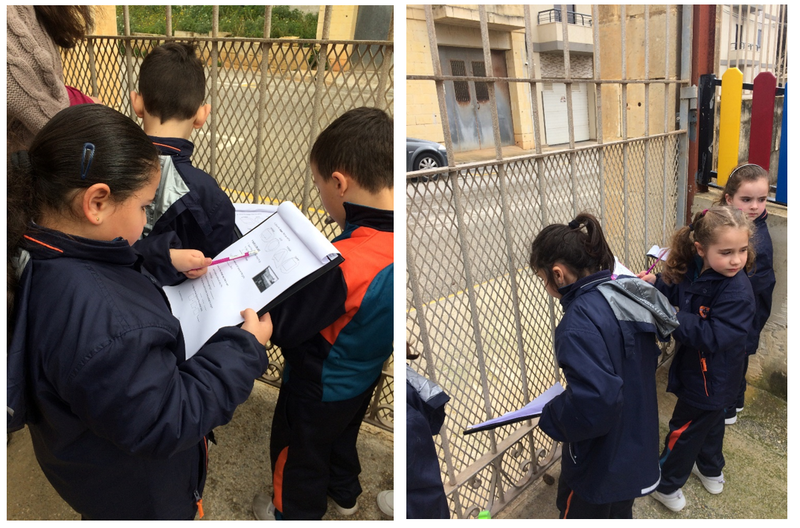 The day started off by walking to the Mgarr square for the Maths trail. A short break followed and children enjoyed some time at the swings. 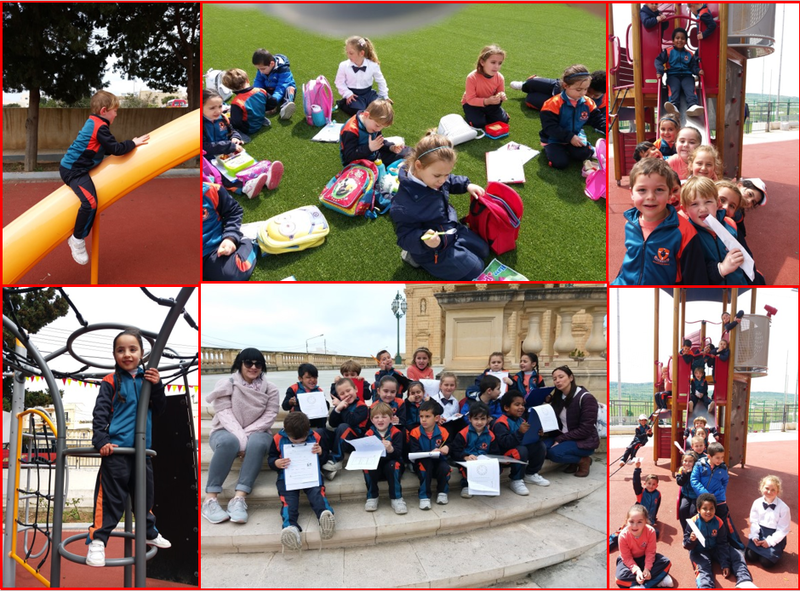 On the way to school they visited Ta’ Ħaġrat Temples and continued their maths trail. This entry was posted in Year 1 and tagged maths trail on 5 April, 2019 by mgarrprimary. Din il-ġimgħa, it-tfal tal-ewwel sena kienu qegħdin jitkellmu dwar is-sillabi u kif ser jinqasmu biex jgħinuhom fil-qari. Huma għarfu li f’kull sillaba jkun hemm vokali waħda u l-ittri doppji qatt ma jistgħu ikunu fl-istess sillaba. Dan sar kollu b’eżerċizzju ħafif meta bl-imqass qasmu numru ta’ leħħiet li kienu għamlu huma stess. 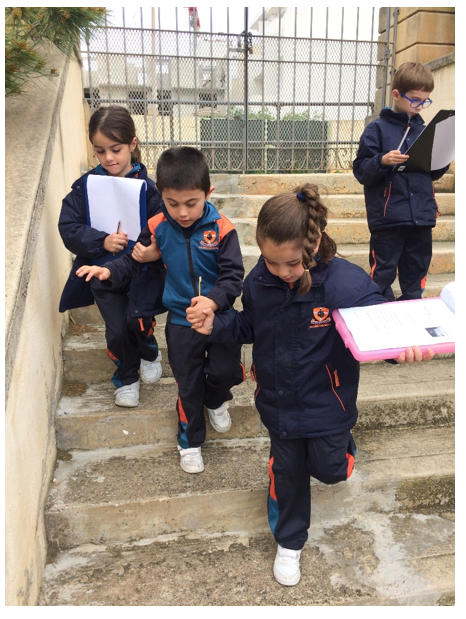 This entry was posted in Year 1 and tagged Malti, sillabi on 22 March, 2019 by mgarrprimary. 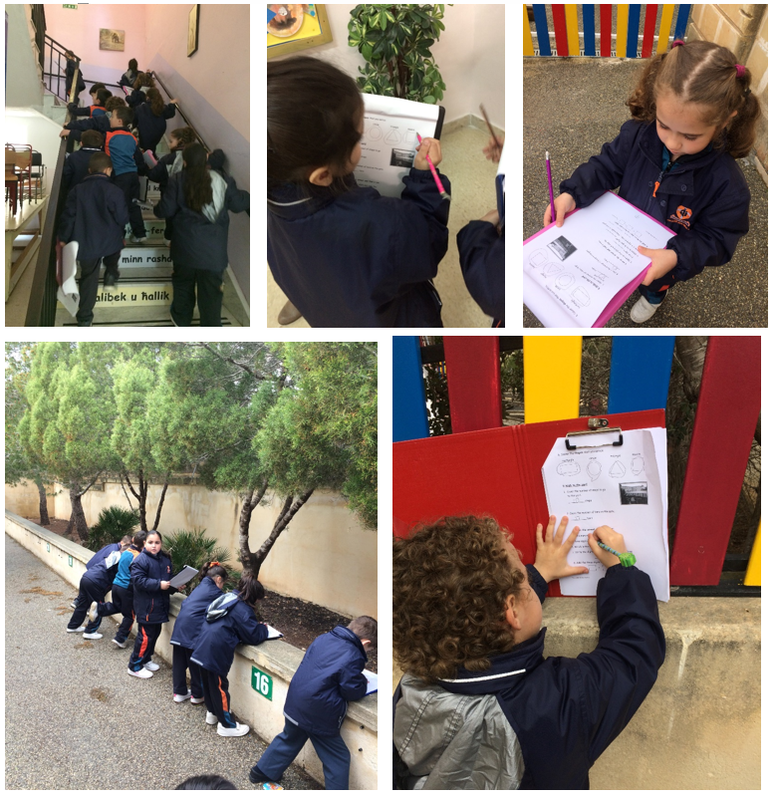 Today Year 1 children participated in a school Maths trail. 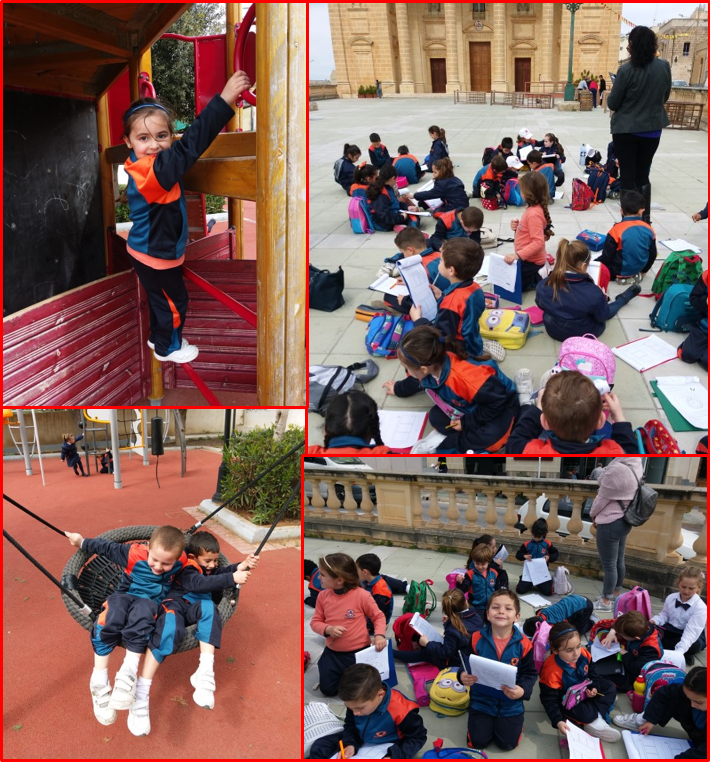 They went round the school to count steps, find shapes, count fire extinguishers, observe height of trees and objects, and order numbers amongst other activities. 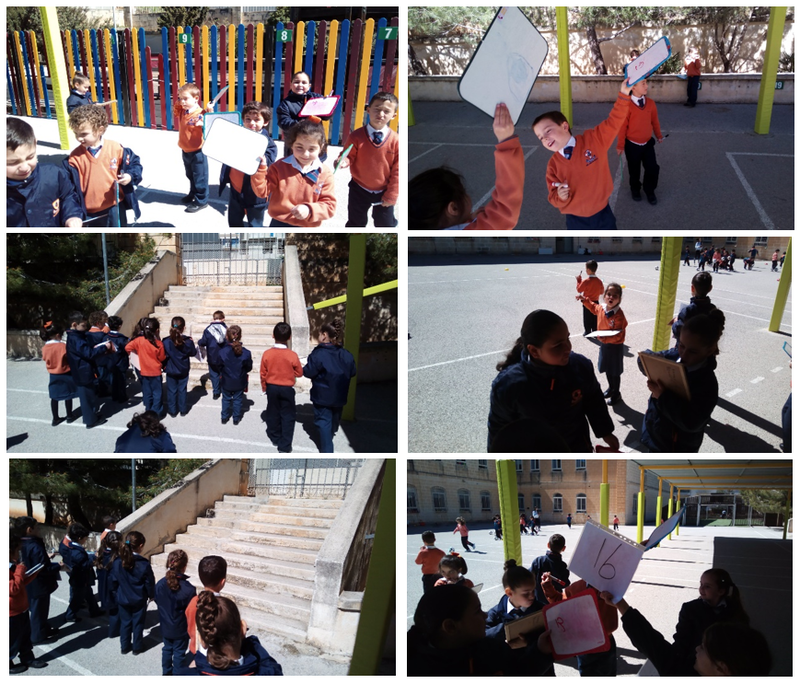 Whilst learning numeracy, the students enjoyed the outdoors. This activity provided for a meaningful hands-on experience. This entry was posted in Year 1 and tagged maths trail on 20 March, 2019 by mgarrprimary. 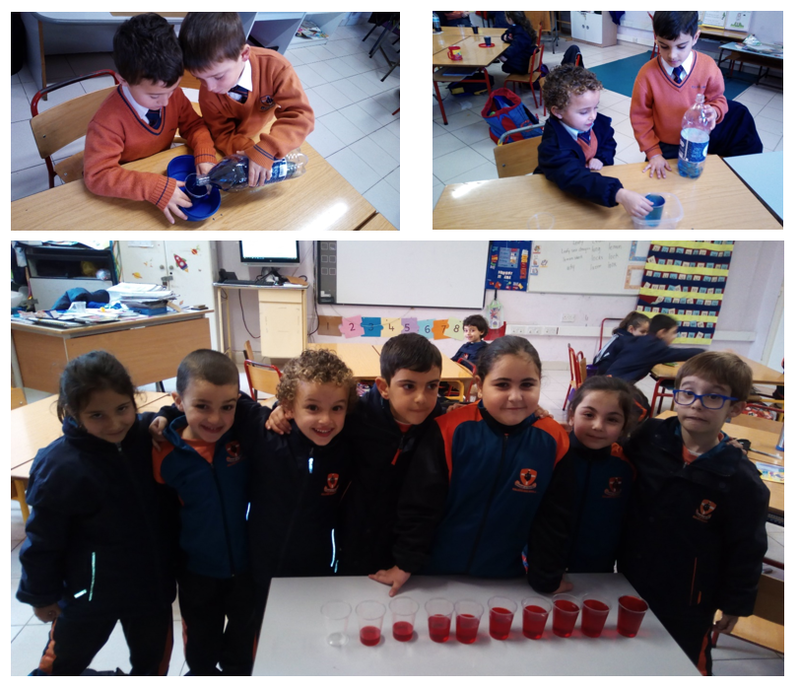 We started the experiment by filling up 4 clear cups with coloured food colour (Red, yellow, blue and another one with red) and put them about 4 inches apart. Then we put another 3 clear empty cups in between. We grabbed 6 strips of paper towels and placed one end of the each paper towel into the glass with the water and the other end into an empty cup. We repeated this for every cup, thus having 2 paper towel strips in the empty cups. We left the cups sit for a few hours and check on them every hour to see what happened. 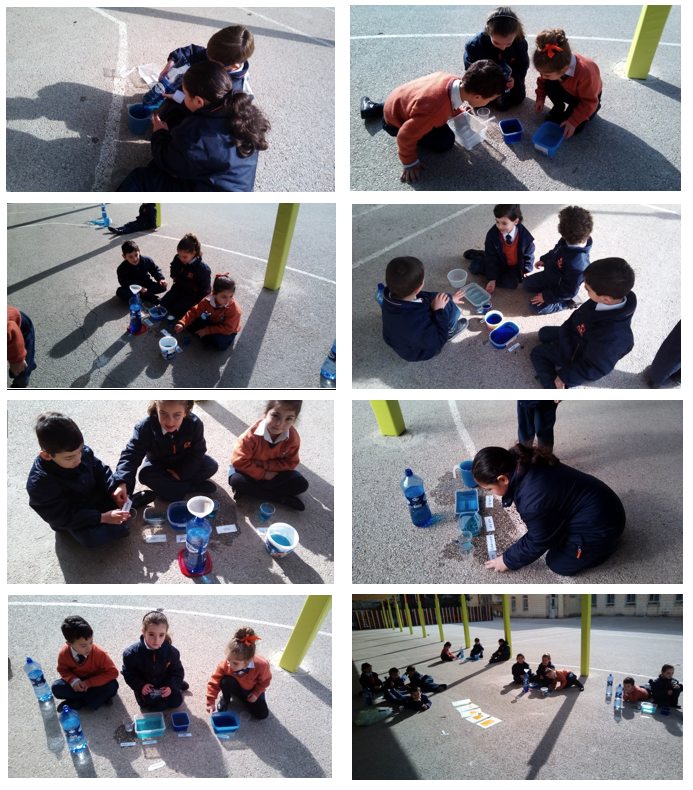 The children learnt that water travels up and across the paper towel out of one glass and into another. They could see that the coloured water in the empty cup was a mixture of both adjacent cups’ water. 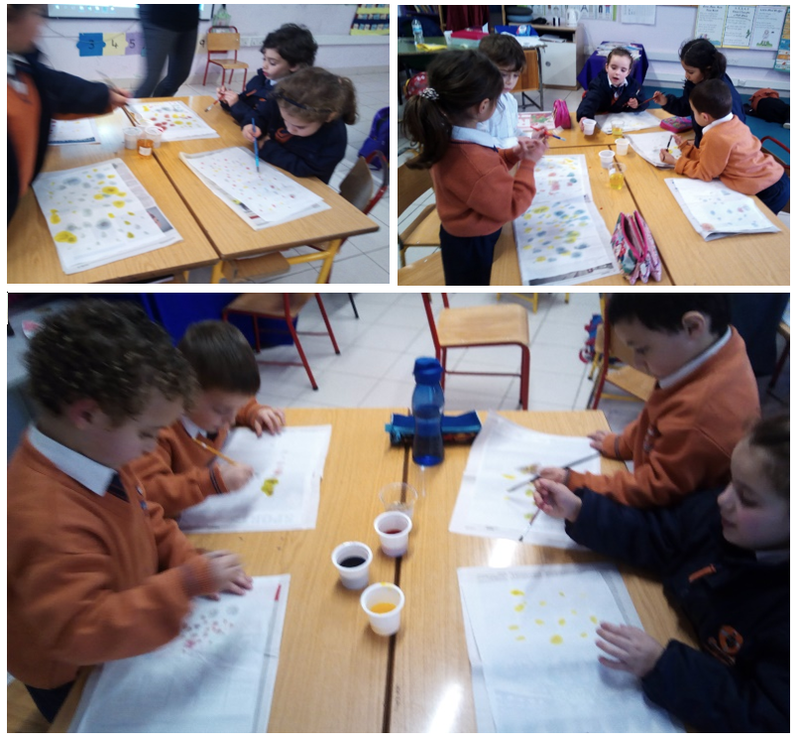 They learnt that red and yellow made orange, yellow and blue made green, blue and red made purple. Later on during the week children were given some 3 cups of coloured water – red, blue, yellow and they were asked to create a painting on paper towels. They could see that when the colours touched they changed their initial colour – thus mixing into a secondary colour. 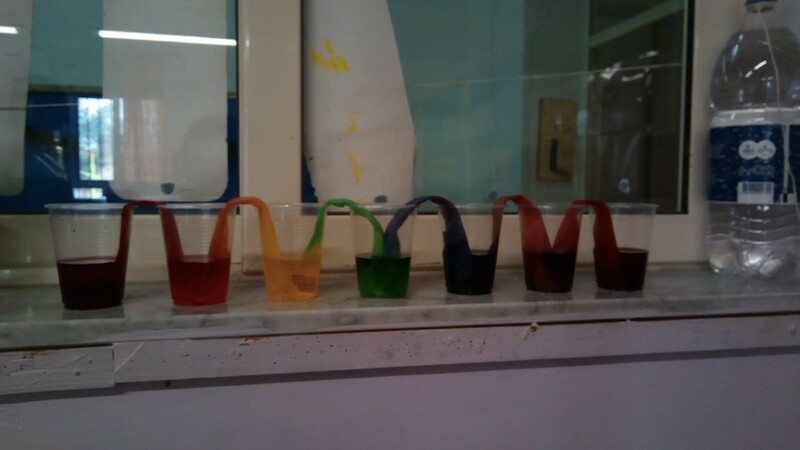 This entry was posted in Year 1 and tagged colours, science on 15 March, 2019 by mgarrprimary. In class we introduced the topic ‘Weight’. 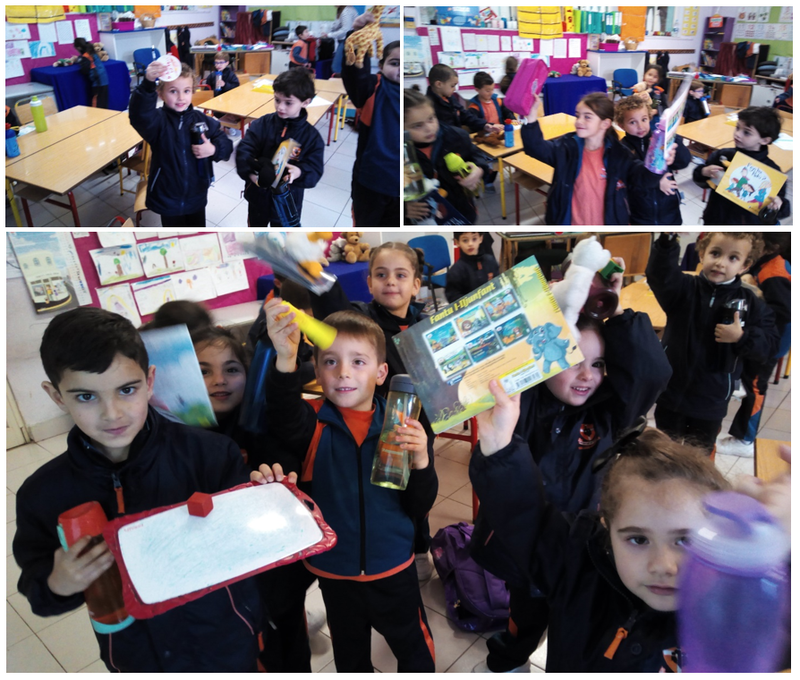 After talking about what they knew about the topic, children were asked to take out their drinking bottles and go around the class to find objects which were lighter and heavier than their bottles. They enjoyed this hands on activity as they could clearly understand the difference between heavier and lighter. This entry was posted in Year 1 and tagged maths, weight on 15 March, 2019 by mgarrprimary. 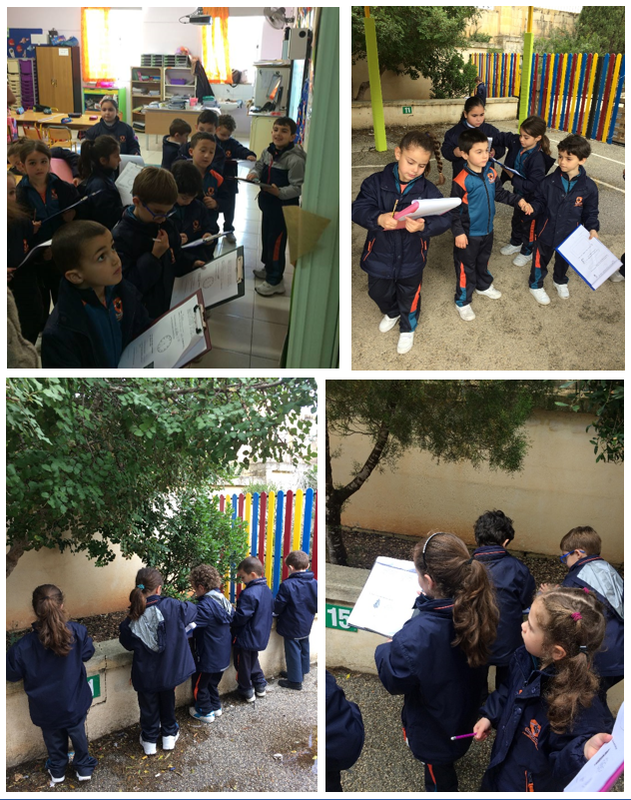 Today we went outside to estimate the number of objects we have in the school yard. Children estimated the number of trees, steps, number of windows. They wrote their estate on the whiteboard and then counted to check the exact amount of objects. This entry was posted in Year 1 and tagged estimation, maths on 15 March, 2019 by mgarrprimary. Children started learning about capacity. 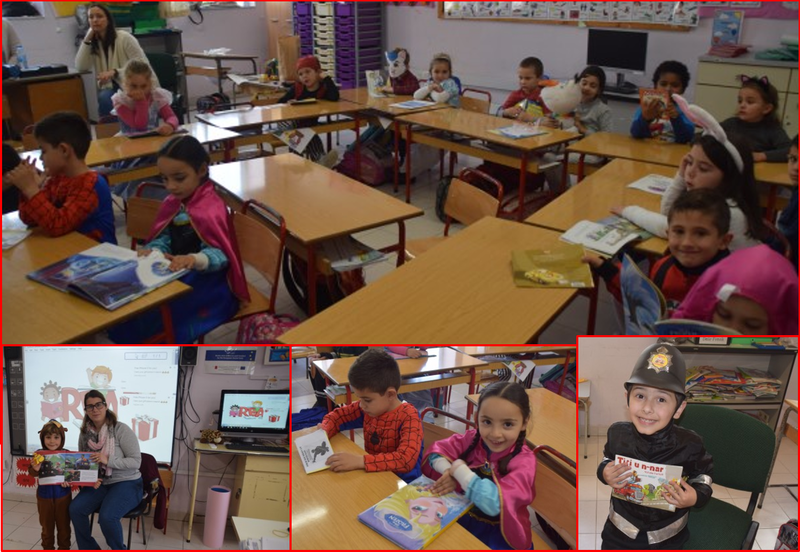 They learnt new vocabulary related to the topic: full and empty, nearly empty, half full, half empty and nearly empty. They were give containers and were asked to fill them up in different amounts, and put them in order. Children were then asked to get their containers from home. They could clearly identify that not all containers hold the same amount of water due to the size of the container. 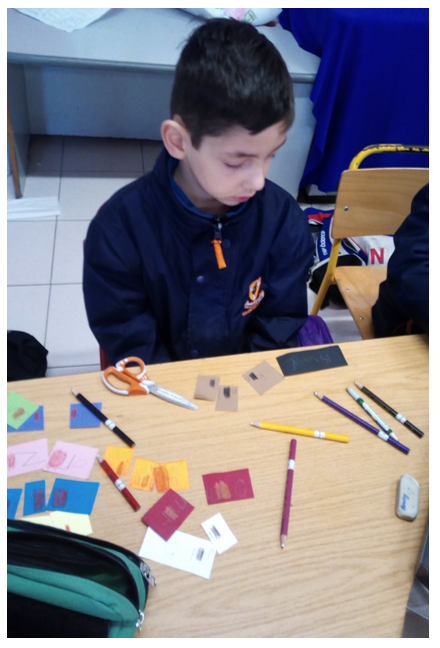 This entry was posted in Year 1 and tagged experiences on 15 March, 2019 by mgarrprimary.